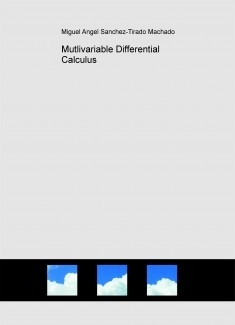 Multivariable Differential Calculus is an undergraduate-graduate e-book on differential calculus of several variables (advanced calculus), which is written in English language, downloadable through this on-line bookshop. This book carries out a journey through the fundamentals of calculus of several variables, following a rigurous methodology which proves almost all of theoretical results which are treated in the book. It begins stating the basic notions on topology which are used in the book, and generalizes results when it is possible, it continues with continuity and differentiable functions, and finally carries out an introduction to differential equations and differentiable manifolds.